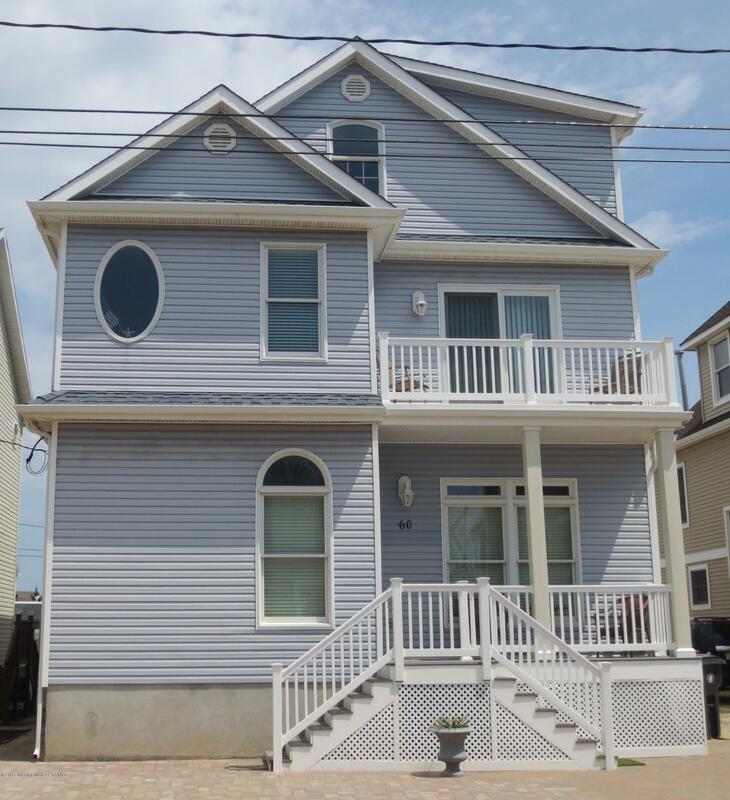 SUMMER WEEKLY RENTAL ONLY - Ocean block - Beautiful 4 bedroom, 3-1/2 baths, stainless steel appliances, central air conditioning, outside shower, grill and table & chairs in fenced backyard - up to 3 car off-street parking - Just steps to the Beach. Close to restaurants, fresh produce and more. CALL AGENT FOR AVAILABILITY. Courtesy of Melissa Fogler, RE/MAX Real Estate LTD.
All information deemed reliable but not guaranteed and should be independently verified. All properties are subject to prior sale, change or withdrawal. Neither listing broker(s) nor East Monmouth shall be responsible for any typographical errors, misinformation, misprints and shall be held totally harmless. IDX information is provided exclusively for consumers, personal, non-commercial use and may not be used for any purpose other than to identify prospective properties consumers may be interested in purchasing. All listings displayed pursuant to IDX shall show the MLS as the source of the information. ©2019Monmouth Ocean Regional REALTORS&reg;. All rights reserved.